New Gecko Finder product features have been released that enhance user experience of smartphone users and there are more commands that enable companies to use Gecko Finder for finding employees. Gecko Landmarks has developed new features as a response for the first mobile operator customers who have indicated high interest to serve well these two high value customer segments in emerging markets: smartphone owners and companies. When smartphone users download operator branded Gecko Finder they can find the location of a friend or employee with one click as long as the initial consent has been granted. 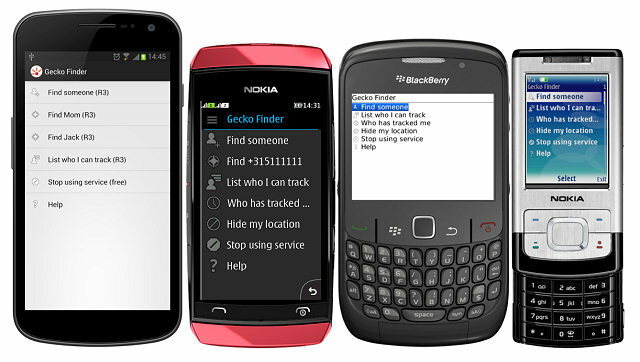 The Gecko Finder application is linked to the phone contact list making the use of Gecko Finder very convenient. Gecko Finder application is available for the most common platforms in emerging countries – Java ME, Android and Blackberry. Several new commands have also been added to provide optimum and affordable employee tracking capabilities. The most important new feature for companies is a command that enables finding the location of all employees with one FIND request. This enables convenient ease of use for business managers in e.g. logistics optimization, fleet management, field engineering performance, sales people efficiency etc. With these new features Gecko Finder increases the lead of being the world’s best Finder service.